Meriam’s M1500 Analog Pressure Transmitter is ideal for a variety of pressure and flow measurement applications from 10″ H20 to 3000 PSI Full Scale. 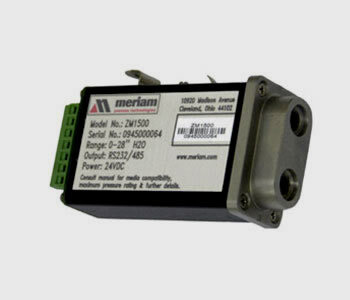 The user may configure the M1500 for 0 – 5 VDC or 4 – 20mA output. Two SPST opto switches are included. 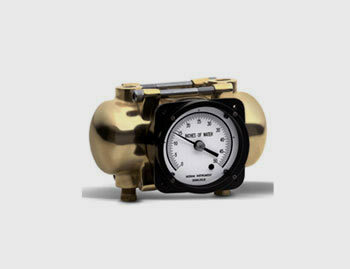 Choose from differential (dry/dry or wet/wet), gauge, compound or absolute pressure types. Typical NIST traceable digital accuracy is ±0.035% of F.S. including all effects of linearity, repeatability, hysteresis and temperature from -20° to +50°C (-4° to +122° F). 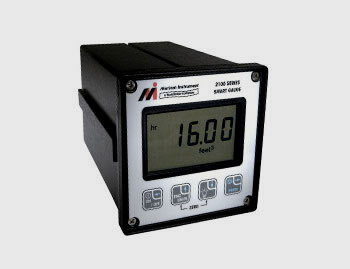 For wider pressure range requirements, the M1502 with digital output incorporates two pressure sensors. Most combinations of AI or CI type pressure sensors are supported. The M1502 reduces purchase price and installation costs when multiple pressure measurements are needed. The Piston Diaphragm Gauges can used in applications like level measurement, measuring flow rate, filter monitoring, flow direction, heating and cooling system monitoring, pump performance, pressure performance, strainer monitoring and blower performance. The light weight and compact differential pressure unit incorporates a rupture-proof and leak-proof bellows plus other features that ensure ruggedness and reliability. This basic unit is suitable for activating indicators, recorders, transmitters, switches, and controllers and is available as a separate assembly for that purpose. The 1120 consists of a high and a low pressure bellows connected to each side of a center plate. The bellows are enclosed in end housings which in turn are bolted to the center plate. The interior of the bellows and center plate is completely filled with a clean, low freezing point, non-corrosive fill fluid. As differential pressure is applied, this fill fluid moves between the bellows through a field adjustable dampening valve in the center plate. Other external dampening devices are not required for measurements of pulsating differential pressure. Also, the Meriam 1120 incorporates a special design which completely isolates the process fluid from the center plate. 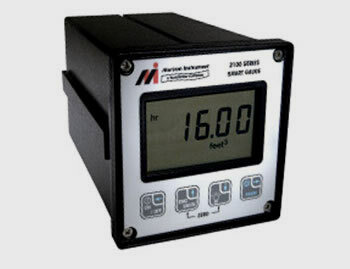 Meriam’s M2110F Smart Flow Gauge is a microprocessor based, programmable, differential pressure sensing device designed to display flow rate when used with a head loss type flow element such as Accutube averaging pitot tubes, orifice plates, or laminar flow elements. The unit calculates flow rate by measuring the Differential Pressure and using it in algorithms with flow coefficients entered into the unit by the user. The display is a 4 digit LCD with 0.5″ high numerals and a lower alphanumeric display for engineering units and to aid in set up. Each gauge includes up to 15 field selectable engineering units depending on the sensor range. The gauge is powered by two AA alkaline batteries. Typical applications are instrumentation and control in the process industries, hydraulics, pneumatics, industrial gases and OEM’s. 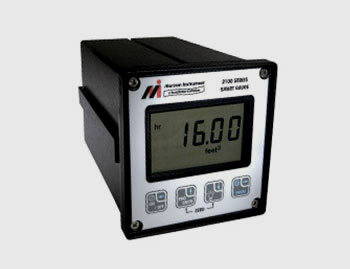 Meriam Process Technologies’ M2110L Smart Level Gauge is designed to display tank level in volumetric or mass units based on the hydrostatic head pressure of the fluid in the tank. It can be configured for linear tanks such as vertical cylinders or for use on non-linear tanks such as horizontal cylinders and spheres. All units are programmed to allow easy configuration of the gauge through the front keypad. The AC powered and 4-20 mA units can also be configured through the RS-232C serial communications port. SPDT relays on AC powered units and the 4-20 mA output on the transmitter models make the 2110L an ideal choice for many level control and recording functions. 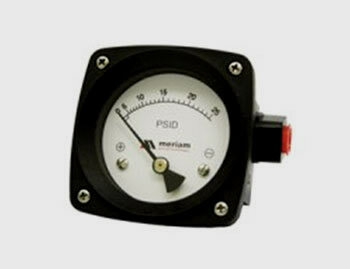 Meriam Process Technologies’ M2110P Smart Pressure Gauge is a microprocessor based, programmable pressure sensing device. The various ranges available allow for measurement of pressure, vacuum and absolute pressure. All units are programmed to allow easy configuration of the gauge through the front keypad. The AC powered and 4-20 mA units can also be configured through the RS-232C serial communications port. SPDT relays on AC powered units and the 4-20 mA output on the transmitter models make the 2110P an ideal choice for many control and recording functions. Both models also have RS-232C communications for additional control and data logging capabilities. Typical applications include use as a test bench gauge, tank level measurement, gas flow measurement and leak testing.